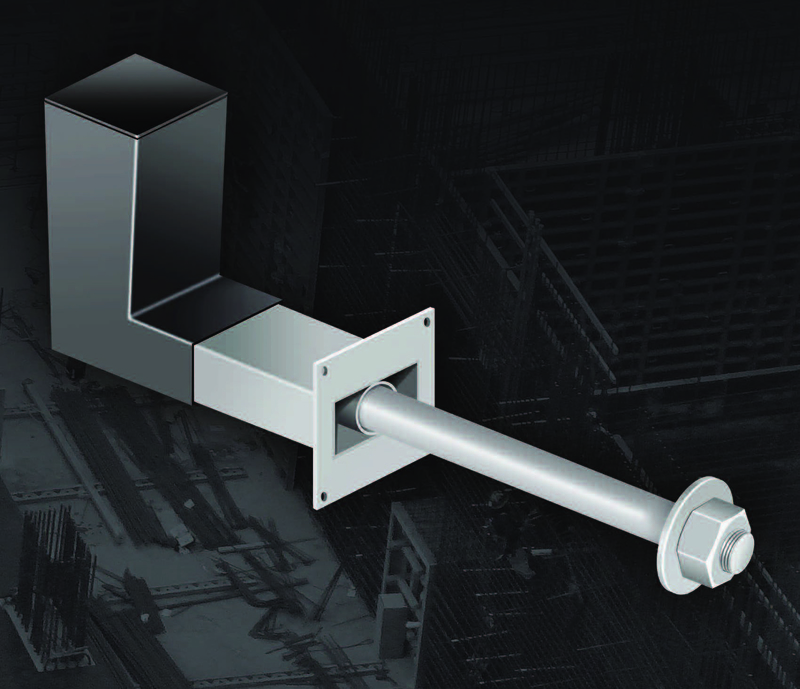 The Burke Lockable Dowel by MeadowBurke®, A CRH Company, is a shear load connector designed for use at temporary movement joints, most commonly found in post-tensioned concrete frames. These dowels allow initial shrinkage of the concrete to take place and are then locked in position with a mechanical plate and a controlled amount of epoxy resin. The locked dowels continue to transfer shear, but prevent further movement taking place. The use of Burke Lockable Dowels can save a significant amount of time and materials over other construction methods. Concrete shrinkage has traditionally been accommodated by leaving gaps in the slab called “pour strips” or “closure strips.” These strips are filled once movement has stabilized, however until they are filled the slabs must be shored, restricting site access and delaying site progress. Gaps in the slab also create a hazard for site workers, use additional formwork and leave the soffit face marked. Lockable Dowels improve site access, minimize formwork requirements and accelerate the rate of construction. With a Lockable Dowel, there is less requirement for the slabs to be shored or a support corbel to be constructed, as shear load is transferred by the dowel. The time saved by early removal of slab props can be significant. Click here to learn more about the Burke Lockable Dowel including additional features and technical specifications.